Welcome to the Golden Valley Hotel and Safari Camp, located in the outskirts of the village of El Bawiti, in the Bahariya Oasis, 350 km southwest of Cairo, Egypt. Golden Valley Hotel was built by Ahmed El Shimy in 2003-2004. The site was chosen for its altitude over the city of Bawiti. This location provides views of the Black desert and mountains in three directions and the city of Bawiti in the north, and allows the cool northerly wind that often prevails to give a comfortable atmosphere even on a hot summer day. 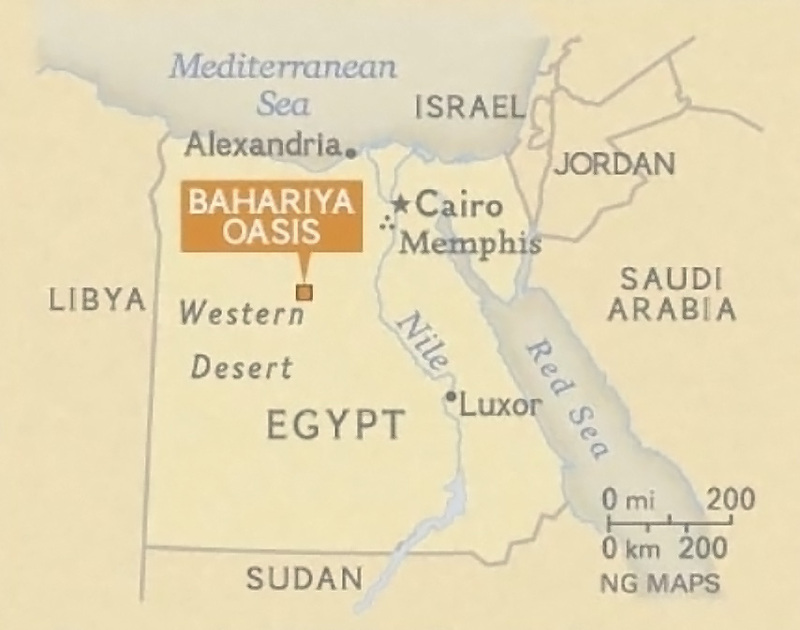 The name, Golden Valley Hotel, was selected after the discoveries of a large burial ground with mummies covered with golden masks across the road to the Farafra Oasis in 1998. We offer budget priced hotel rooms with air condition and private bath, or Bedouin huts with shared bath. During your stay at the hotel or when enjoying a desert trip you will get to know the traditional Bedouin food, music and relaxed life style. A perfect way to recharge your batteries! 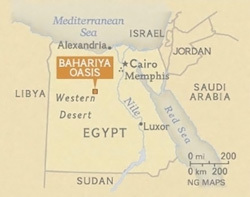 The oasis offers a number of historical sights, such as the old part of the village, or the recently discovered toombs with the Golden Mummies that are still being dug out by archeologists. It is estimated that at least 1 000 (maybe as much as 10 000) mummies are buried here, and some of them are on display at the local museum. You can also enjoy cool or warm baths in the springs around the oasis or just relax and relinquish in the calm and friendly atmosphere among the palm trees. If you are looking for more adventure, we specialize in trips all over the Egyptian desert, either by foot, camel or 4x4 Toyota Land Cruisers. As our guest you can either choose from our pre-established trips, or design your own trip after discussions with the desert guides. Please take a look at the programs we offer and don't hesitate to call us or send e-mail if you have any questions.